The amount of 1 USD has been deposited to your account. Accounts: U17592451->U3669097. Memo: Shopping Cart Payment. Withdraw to DaTre from Calcuvis Biz.. Date: 22:44 26.01.19. Batch: 244032277. The amount of 50 USD has been withdrawn from your account. Accounts: U3669097->U17592451. Memo: Shopping Cart Payment. 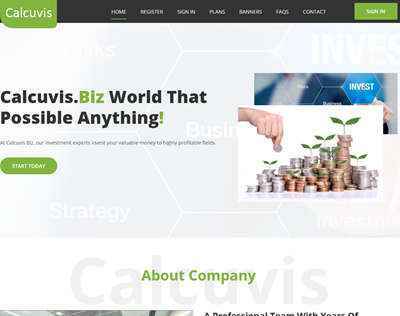 Deposit to Calcuvis Biz User DaTre.. Date: 05:00 25.01.19. Batch: 243848133. The amount of 1 USD has been deposited to your account. Accounts: U17592451->U3669097. Memo: Shopping Cart Payment. Withdraw to DaTre from Calcuvis Biz.. Date: 02:06 28.01.19. Batch: 244133457. The amount of 1 USD has been deposited to your account. Accounts: U17592451->U3669097. Memo: Shopping Cart Payment. Withdraw to DaTre from Calcuvis Biz.. Date: 04:58 29.01.19. Batch: 244259024. The amount of 1 USD has been deposited to your account. Accounts: U17592451->U3669097. Memo: Shopping Cart Payment. Withdraw to DaTre from Calcuvis Biz.. Date: 06:03 30.01.19. Batch: 244386519. The amount of 1 USD has been deposited to your account. Accounts: U17592451->U3669097. Memo: Shopping Cart Payment. Withdraw to DaTre from Calcuvis Biz.. Date: 06:18 31.01.19. Batch: 244506018. The amount of 1 USD has been deposited to your account. Accounts: U17592451->U3669097. Memo: Shopping Cart Payment. Withdraw to DaTre from Calcuvis Biz.. Date: 13:42 01.02.19. Batch: 244884029. The amount of 1 USD has been deposited to your account. Accounts: U17592451->U3669097. Memo: Shopping Cart Payment. Withdraw to DaTre from Calcuvis Biz.. Date: 18:02 02.02.19. Batch: 245142921.